UK Television actress Lisa Faulkner has added her name to the list of celebs who have been spotted wearing House of Harlow 1960. Lisa Faulkner wore the seven strand coin head piece - $455. This is the most popular head piece from the collection and Nicole Richie loves to wear it also! 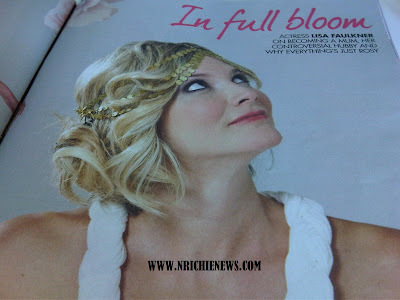 Lisa wore the House of Harlow 1960 head piece for her OK Magazine feature.